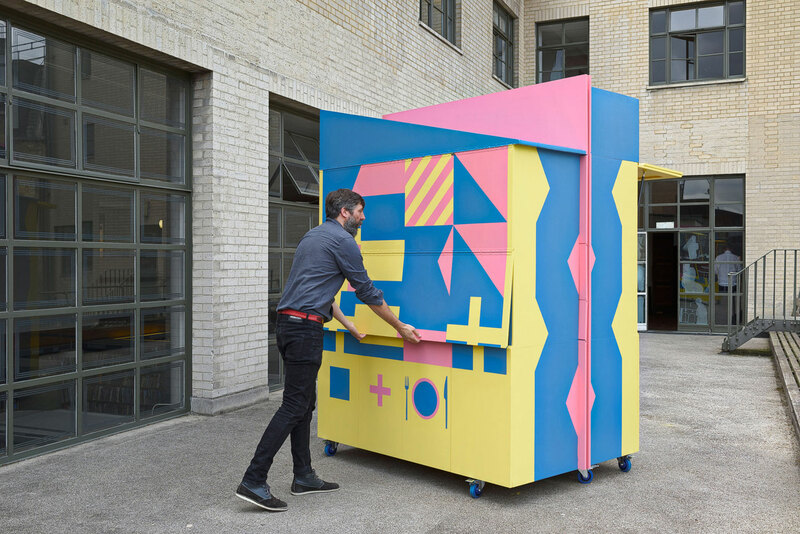 Befriending Kitchen by Merrett Houmøller Architects is a creative and collaborative mobile kitchen devised to overcome internal social barriers and promote awareness of the challenges faced by young asylum seekers and refugees in UK. 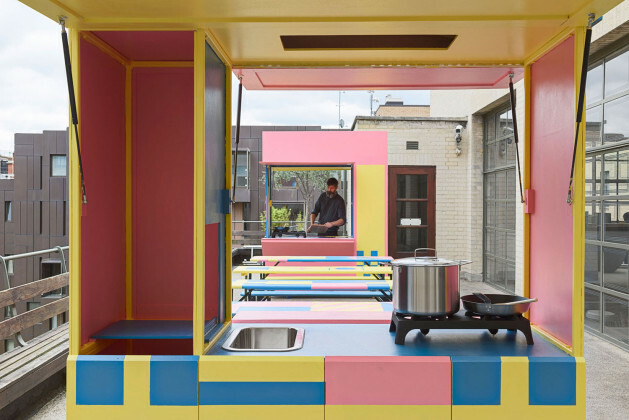 Merrett Houmøller Architects’ Befriending Kitchen is the result of an RIBA competition on the theme of borders. The practice approached the British Red Cross in 2017 to propose the construction of a mobile kitchen and dining facility as a base for its Refugees and Befriending Project. 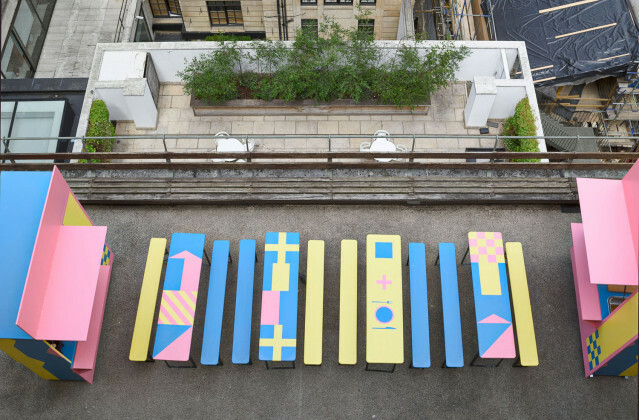 The project brings together vulnerable young people who have crossed borders to get to the UK. Once a week they join with British Red Cross volunteers and staff to cook and eat a meal together. The weekly sessions provide young asylum seekers and refugees with friendly support and life skills as well as the chance to have fun, build confidence and improve their English. Merrett Houmøller’s unit aims to promote awareness of the challenges faced by these vulnerable young people when they arrive in the UK. Previously run from an un-inspiring office area, the new mobile kitchen and dining facilities enable the project to move to different locations around the city and communicate the aspirations of the project to a wider audience. 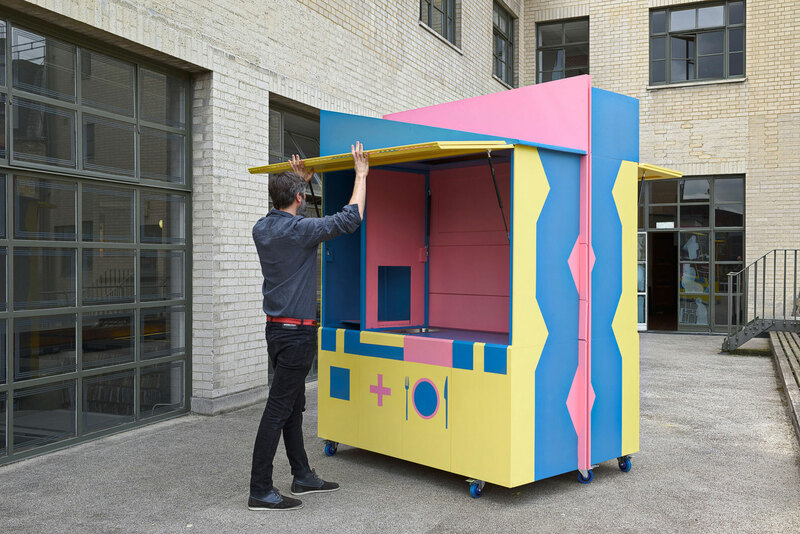 Practice co-founder Peter Merrett explained practice’s motivations: "The mobile unit aims to promote awareness of the challenges faced by these vulnerable young people when they arrive in the UK and communicate the aspirations of the project to a wider audience." 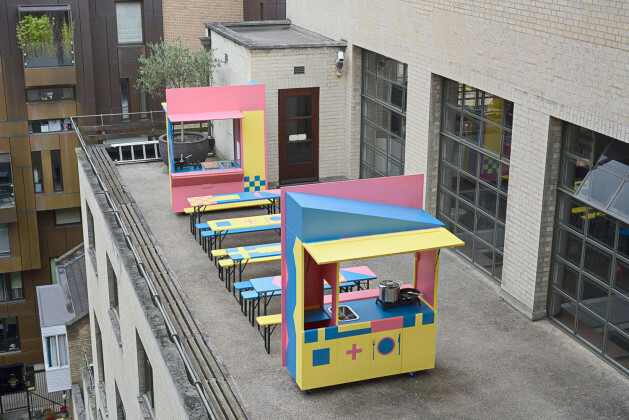 "As we attempt to address the shared tensions and aspirations either side of political borders, where better place to start than by sharing a meal? Meal times have a universal familiarity that all people can share in. 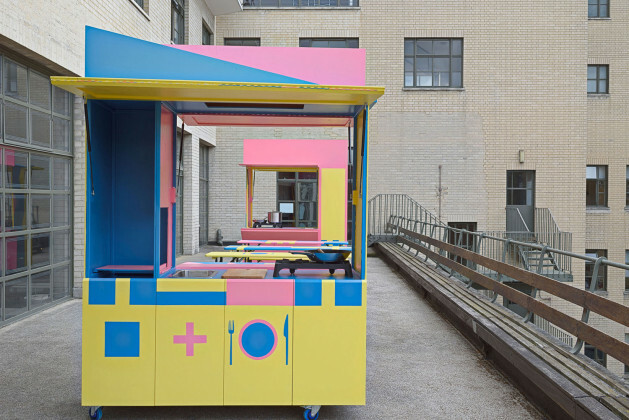 This proposal seeks to support the Red Cross’s inspiring initiative by finding an architectural solution. 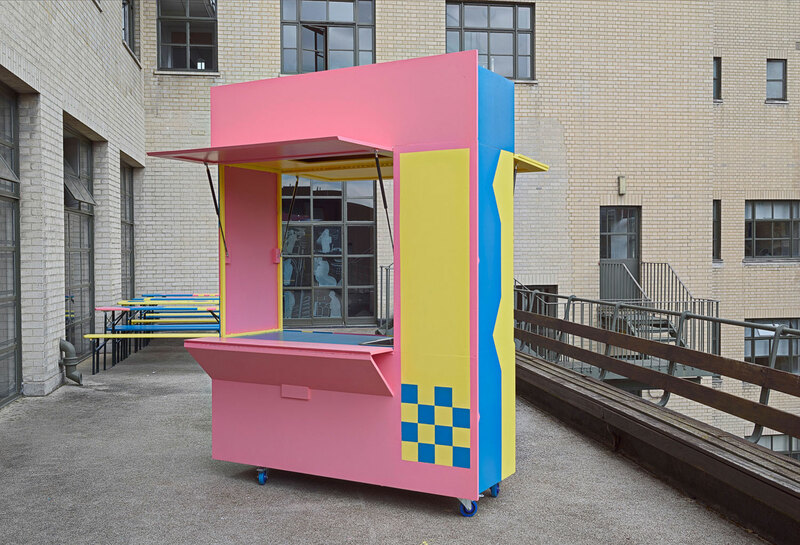 By counteracting the atmosphere of fear and suspicion that surrounds immigration and the global refugee crisis, the project negotiates internal social barriers, and goes beyond borders." 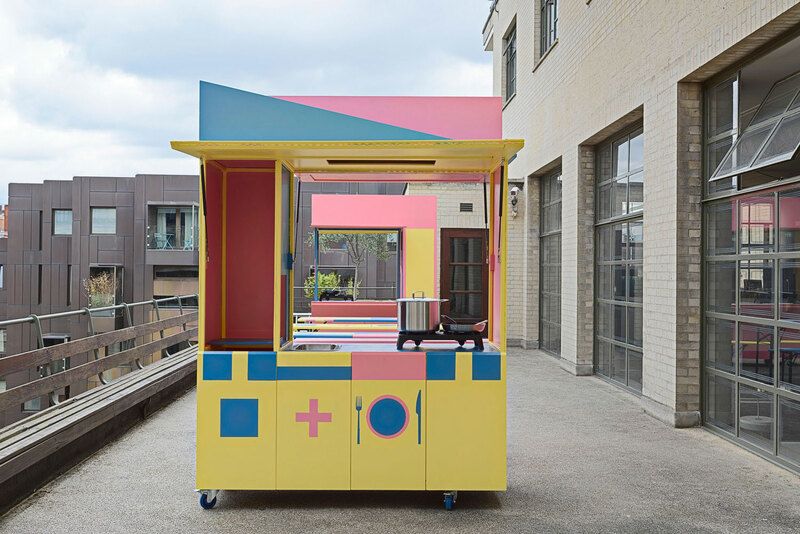 Two de-mountable modules comprise cooking facilities including a gas hob, food prep sink, and serving area, as well as storage for folding tables and benches. Once expanded, the kitchen units mirror one another on opposite ends to enclose an informal dining area, with seating for up to 30 people. The units are secured together when not in use, and are set on wheels so they can be easily moved. 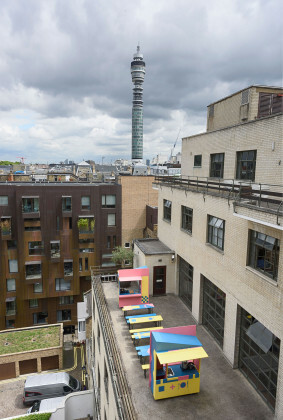 The colourful graphic of the exterior has been developed with volunteers from the RIBA Young People’s Forum. Playing with the idea of language and universal familiarity, the design for the external graphic is inspired by the international system of nautical signal flags, originally devised to overcome language barriers. 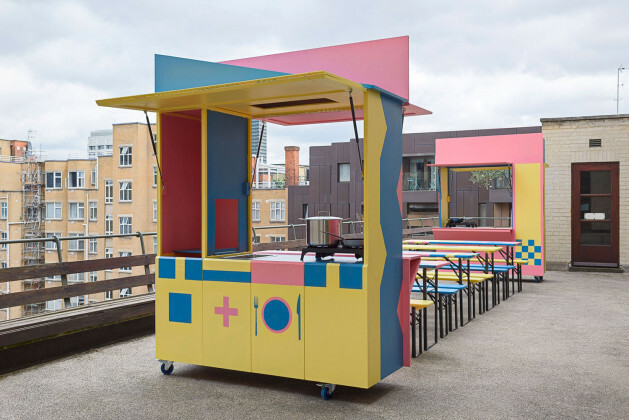 The Befriending Kitchen was launched on the terrace of the RIBA’s London headquarters in July 2017, where Merrett Houmøller’s kitchen hosted several groups of young refugees for lunch and design reviews. In September it was handed over to The British Red Cross who are currently running the project from the courtyard of the Hackney destitution centre in East London. 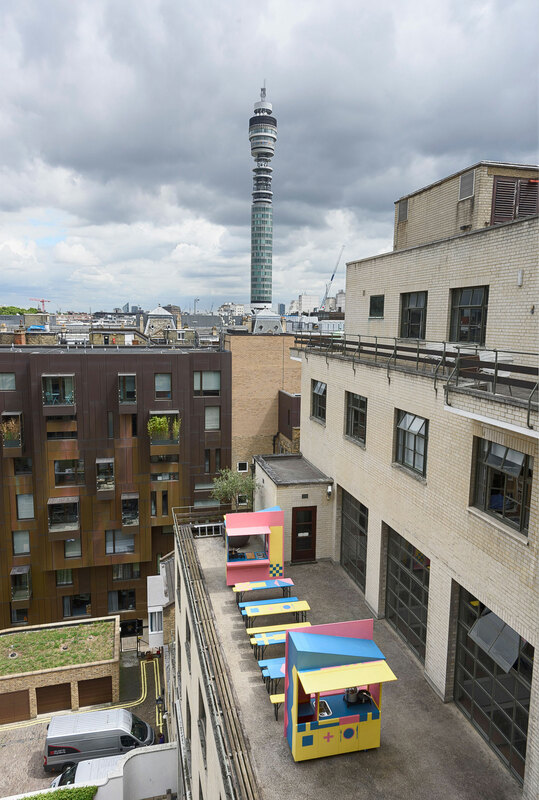 Over the course of the project, the architects worked closely with project coordinators from The British Red Cross’ Refugees and Befriending programme and the RIBA’s Young People’s Forum. They held design participation workshops and exchanged sketches and drawings with the stakeholders. 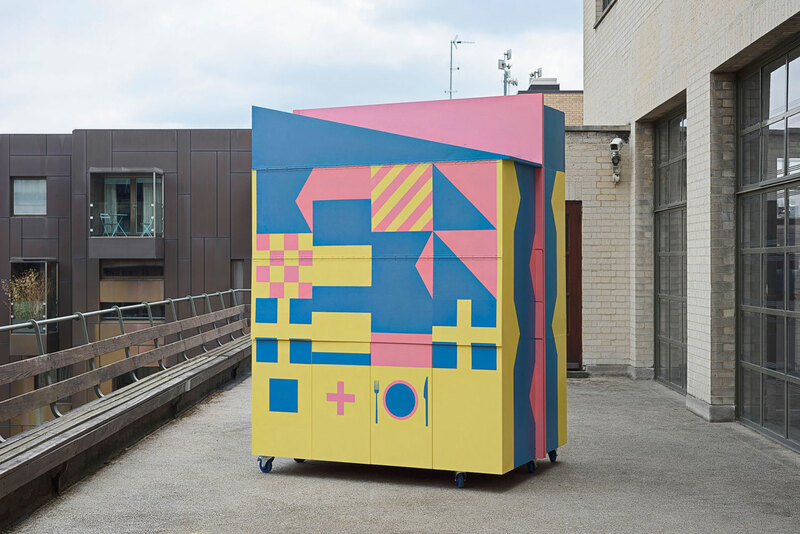 The fabrication, assembly and decoration of the units relied on assistance of a team of volunteers from the YPF and the British Red Cross.